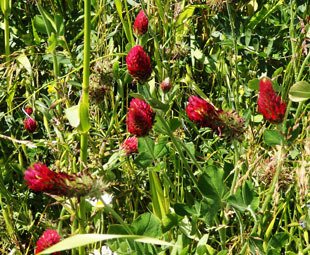 to suppress weeds and to increase the nitrogen content of soils. 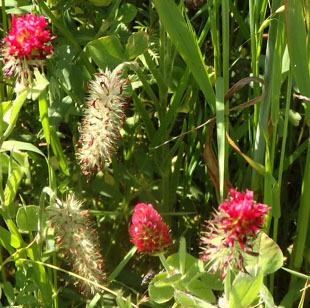 It is naturalised in the South in grassy places. 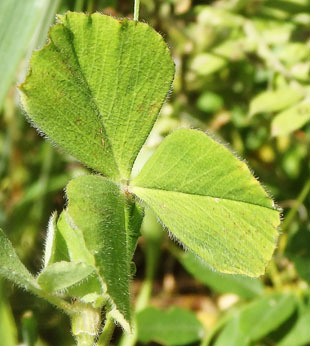 Flowering stems are long and have one trefoil leaf. 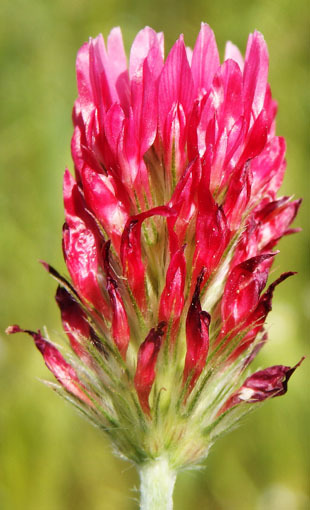 Flowerheads are up to 7cm long and up to 2cm across. 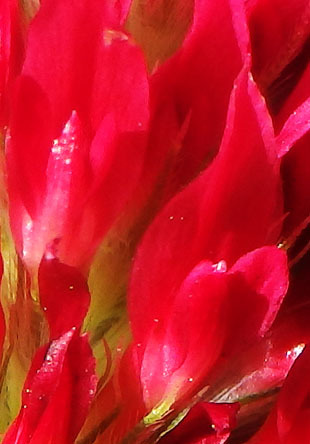 Individual flowers are up to 1cm, sessile and shaggily hairy. Pods are up to 3mm and have 1 seed. 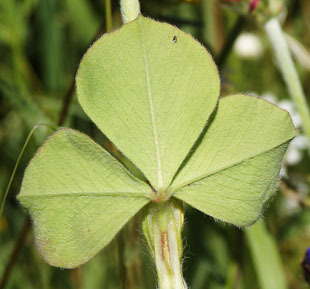 leaflets of the trefoil are up to 4cm. Stems are erect and shaggy.